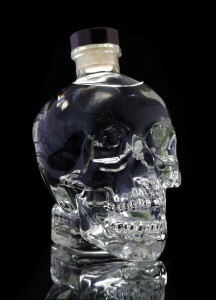 This is one of the best vodkas we have ever reviewed at BourbonBlog.com, and well worth the $50 for the quality and the bottle..
Read our review and then watch the video with Dan Aykroyd below. Nose: Smooth Vodka, not overpowering. Taste: Unctuous and lingering. So clear, smooth and tasteless. It is very light expression of the distillates. The epitamy of what a sipping vodka should be. Three of us drank a bottle last night and enjoyed it immensely. It is very smooth and has a slightly sweet finish. I will be buying several for Christmas gifts this year and an few extra for myself.